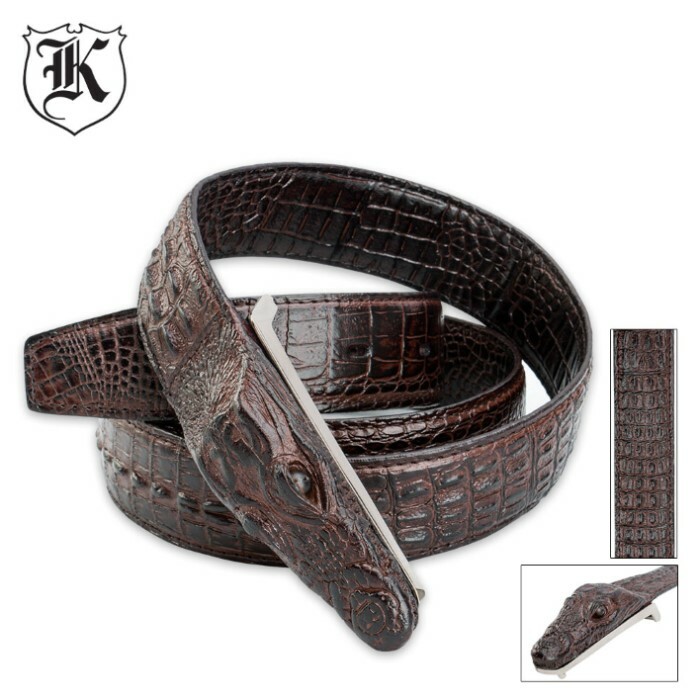 Gotcha Crocodile Belt - Brown | BUDK.com - Knives & Swords At The Lowest Prices! 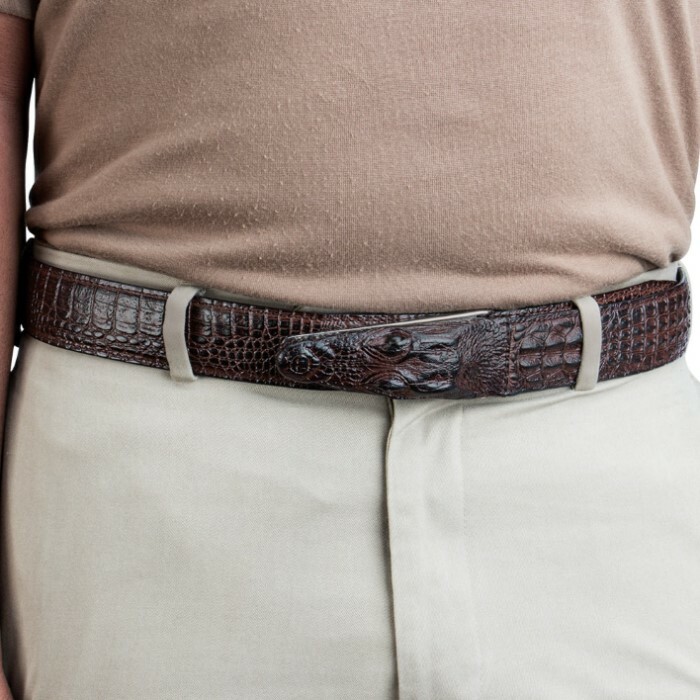 Your friends will take a second look when you're wearing the Gotcha Crocodile Belt. It has a realistic embossed crocodile pattern in a rich brown. 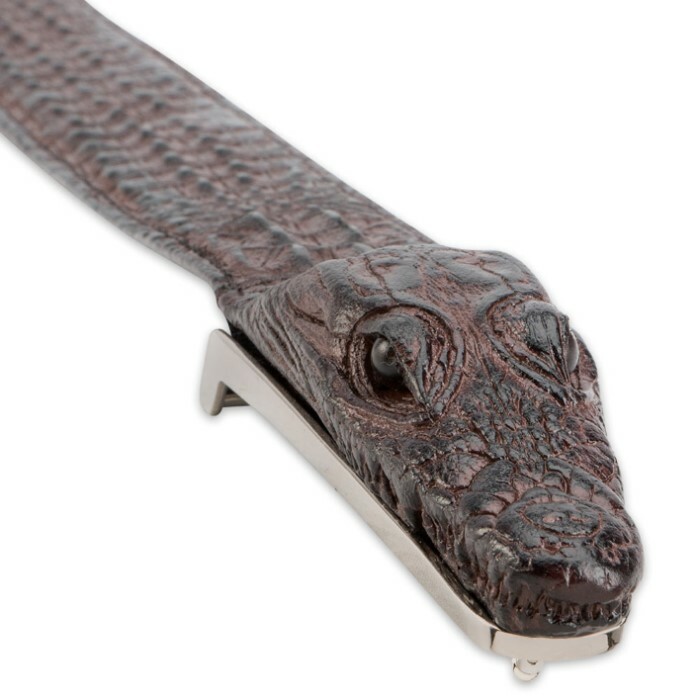 The buckle is a miniature crocodile head that gives it that little something extra. This belt is available in 1XL (40" to 42"); LRG (36" to 38"); and MED (32" to 34").